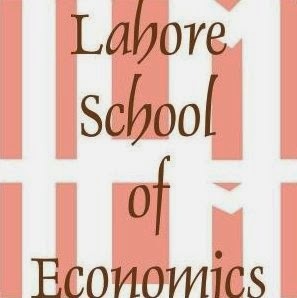 Lahore School of Economics is organizing Second Annual Conference on The Management of Pakistan Economy on May 2-3, 2006 at its Main Campus. The Conference will bring together a group of distinguished policymakers, academics, and international experts related to economic management. Many of them would be presenting papers on various aspects of Financing Economic Development. Some of the subjects to be discussed are Key Issues in Industrial Growth in Pakistan, Knowledge Economy, External Accounts and Foreign Debt Management, Intergovernmental Resource Transfer: Prospects and Issues, Local Government Finance and Federal and Provincial Public Management and civil Services Paradigm. Lahore School of Economics’ teams comprising Ahmad Iqbal, Adeel Ansari, Sana Atique, Fatima Saeed Khan, Ahsan Ali and Qasim Murad represented Pakistan in Fourth National Law School International Parliamentary Debate that was held in Bangalore, India on 10-14 Nov 2005. Out of 40, LSE teams secured 10th and 12th positions.